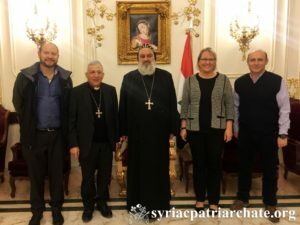 On February 22, 2019, His Holiness Patriarch Mor Ignatius Aphrem II received a delegation from the Lutheran World Federation, at the Patriarchate Headquarters in Bab Touma, Damascus. 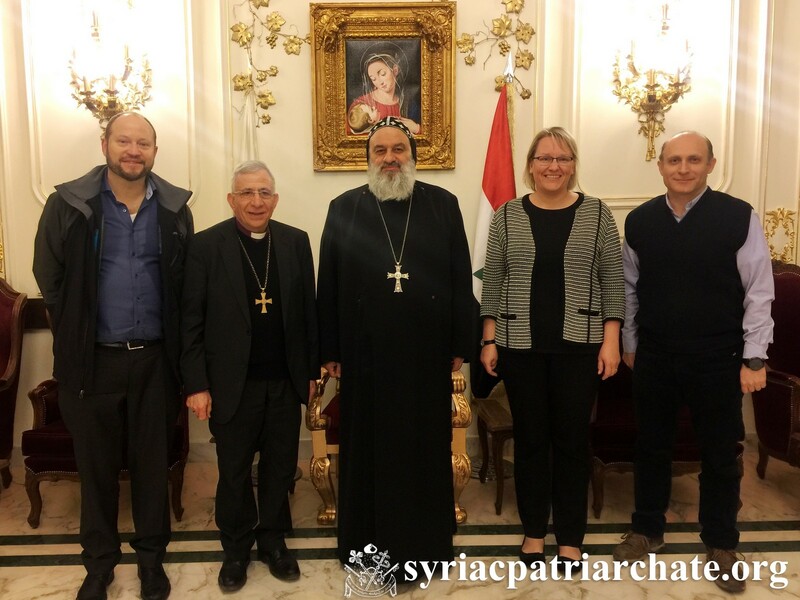 The delegation was led by His Grace Bishop Dr. Munib Younan, Bishop Emeritus of the Evangelical Lutheran Church in Jordan and the Holy Land. His Holiness discussed with his guests the general situation in Syria and means of helping Christians in need. The meeting was attended by Mr. Shadi Sarweh, Executive Director of St. Ephrem Patriarchal Development Committee.